We know that navigating video vocabulary and formats can be complicated at times. That's why we have provided the answers to some of the most common questions we get right here. How do I figure out what kind of tapes or film I have? We get this question a lot. With the plethora of film and video formats, it can be confusing. That's why we created our tape identity chart. Compare your tapes to the pictures and you'll know what you have in no time. All of our stores keep regular hours. No appointment necessary. Come in any time during our posted hours to drop off your project, or to just bounce around some ideas for a future project or get a pricing estimate. We're here to help. For special services like video editing or to review audio or video footage, we would ask for advanced notice so we can make sure we have the appropriate equipment and staff available. Most projects are completed in about 2 weeks, but you'll have to call or stop in for an exact estimated delivery date. We can do some duplication jobs while you wait, some scanning jobs can take 3-4 weeks. Turn times depend upon several factors including the time of year (things are busy around Christmas, slower in the summer), the size of your job, and the type of job (some weeks we have a lot of audio, other weeks a lot of film). Can I send you my project? If you can't make it to one of our stores, you can always send your project to us. Just be sure to include a note with your name, address, phone number, and what you would like us to do. We'll contact you if we have any questions, and call you for payment and return shipping instructions once your job is completed. We accept cash, check, and all major credit cards. Payment is due when you pickup your job. Replication jobs may require a down payment. Terms are available for businesses that have completed our credit application and been approved. It is possible to edit DVDs and we do offer this service. There is a slight loss in quality due to compression artificats that are created in the process, and sometimes menus cannot be recreated exactly as they appear on the original DVD, however we have successfully edited numerous DVDs for clients over the years. If you don't have the original footage used to create the DVD, editing it is the next best thing. Will my DVD playback on my computer? While all DVDs may look the same, don't be deceived. There are two major formats for recordable DVDs, the DVD-R format and the DVD+R format. 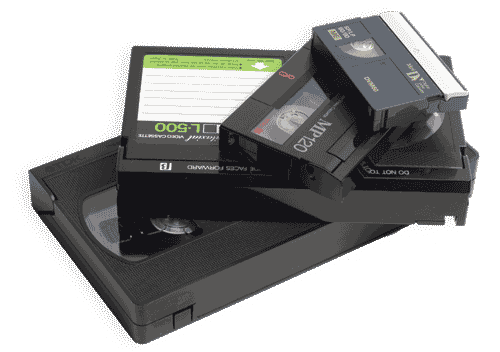 While most consumer DVD players and computers can play both, some players can only play one of these formats. We use the DVD-R format for all recordable DVDs we create, which has a 97% playback compatibility rating compared to DVD+R formatted discs that only have an 87% playback compatibility rating. Still have a question? Call or e-mail us and we'll give you a hand.